Kishi Bashi has it going on. K Ishibashi's previously toured with Montreal and Regina so he is no stranger to putting on a good show. His sound is totally perfect to begin a Monday with an upbeat positive vibe. I can't decide which track to share with you so I'm sharing two. Have a listen. It is unique stuff and I'm really liking it this morning. What about you, thoughts? happy and wacky- I like it too! I like it - it's joyful and fun. Ah, his music is so fun! Love at the first listen. Downloading it now! Bright Whites has been my go-to happy song all month! You should check out the tiny desk concert he did for NPR. It's fantastic! 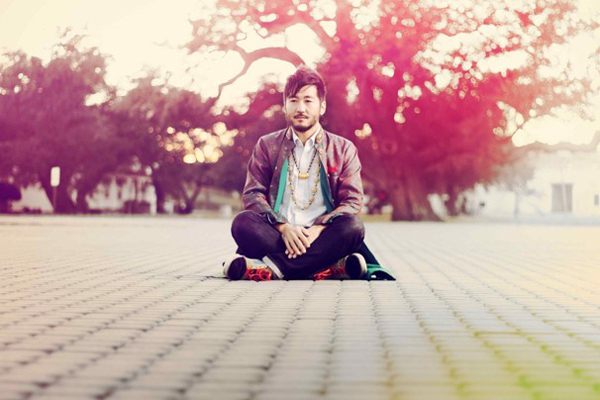 I love Kishi Bashi too! gah! I've been rocking out to this all summer!